Too Hot in the HotGum! 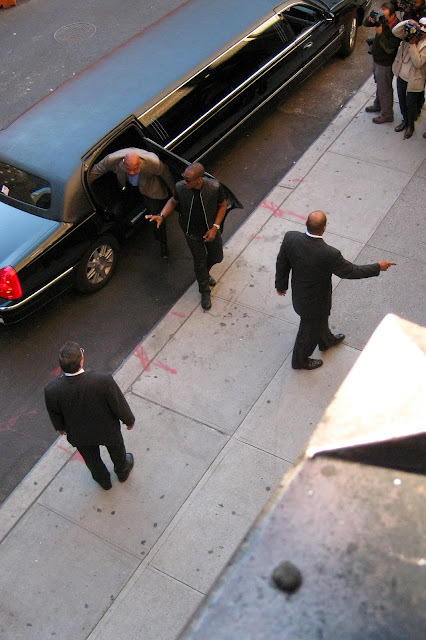 Is that Charlie Murphy coming out of the limo with him? David, Paula, I'm guessing your comments are references to other early 80's SNL/Eddie Murphy stuff? Sadly, I'm maxed out with the Gumby reference. I never even watched any of those shows. I know, I'm a comedy loser. Always nice to see Pointin' Man again. I think that limo's got its own zip code. I did some Googling! I learned about the ice cream/welfare reference and the hot tub reference! I wish I knew what Pointing Man was pointing at, a mugger, a garbage can, or maybe a door? My imagination is running wild! Congrats on getting up-to-date on your 1980's pop culture references, Steve! You'll be boring the pants off people at holiday parties all over town this year.